… to the re-definition of bulk sms messaging. Behind the platform is the experience of our high performance messaging gateway and our responsive customer service team. 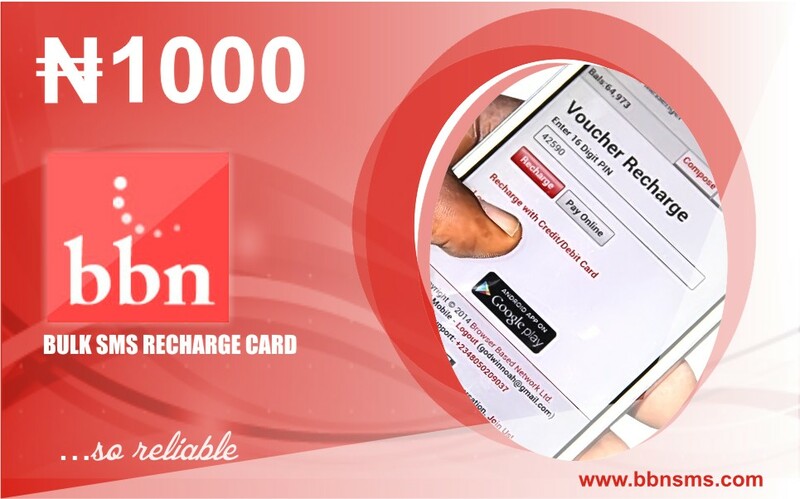 The feature rich BBN Prepaid SMS Messenger is clearly the most innovative bulk sms messaging website in Nigeria and most other Markets. Realtime delivery report updates confirms to you which recipient received received the message and which did not. Based on delivery report history, you can send follow up bulk sms broadcasts to only recipients that confirmed delivered, failed, or both. Every message delivers on time because our text messaging platforms leverages our high performance sms gateway connectivity. Migrate contacts from your mobile devices, desktop, Excel records or other text messaging platforms to your phonebook on BBN Prepaid SMS Messenger. Besides the branded sender name, you can also send bulk sms with personalized content. That’s sending unique content to several recipients with one click. On the mobile powers you to quickly broadcast bulk sms to grouped recipients from your data-enabled mobile device from anywhere and at anytime. Understanding what’s convenient on each device, BBN Prepaid SMS Messenger is designed to adapt to your device and provide you with required bulk sms features. Duplicates may occur when building your contacts database. BBN Prepaid SMS Messenger automates scrutinization and elimination of duplicate contacts. When you intend to broadcast a message to a target network, BBN Prepaid SMS Messenger enables you to exempt the other networks during preview.